CLINTON, Iowa -- Inside the red brick campus of Ashford University, perched on a bluff above the Mississippi River, the door marked "President's Office" remains perpetually shut. Telephone calls to the university's head are swiftly transferred to a corporate office some 2,000 miles away, in San Diego. A new, 500-seat football stadium adorns the campus, and is featured prominently in Ashford's promotional literature, though the university has no football team. 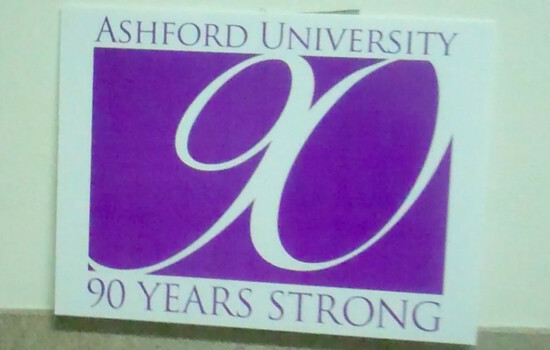 Signs around campus proudly read "Founded 1918" and "90 Years Strong," despite the fact that Ashford -- one of the nation's fastest-growing for-profit colleges -- has existed for less than a decade. The perplexing campus landscape here in Iowa amounts to an elaborate stage set for a lucrative, online education empire that uses these trappings to sell itself to students as a traditional college experience. That strategy was the brainchild of the corporation behind Ashford: Bridgepoint Education Inc., a publicly traded venture started by a group of former executives from the University of Phoenix, a name now synonymous with for-profit higher education and the controversial marketing practices that have brought the industry crosswise with federal regulators. Six years ago, Bridgepoint purchased what was then called Franciscan University of the Prairies, a near-bankrupt, 300-student college that for decades had been run by a local order of Franciscan nuns. The school delivered a crucial commodity: legal accreditation. That enabled Ashford's students to tap federal financial aid dollars, the source of nearly 85 percent of the university's revenues -- more than $600 million in the last academic year. Ashford now counts nearly 76,000 students, 99 percent of whom take classes online. Two years ago, Bridgepoint engineered an initial public stock offering that brought in $142 million. The story of how a California corporation managed to use a small campus in Iowa as the springboard for a national, online education venture underscores a key element that has enabled explosive growth in the for-profit college industry: Schools with dubious educational records have secured the imprimatur of legitimacy simply by owning an accredited institution. Many accreditors do major reviews of colleges just once every 10 years. The next comprehensive evaluation for Ashford is not scheduled until 2014. "It's an area where the old rules don't fit," said David Longanecker, a former assistant secretary of education in the Clinton administration who now serves as president of the Western Interstate Commission for Higher Education, a consortium of colleges founded by Western states in the 1950s. "Accreditation hasn't quite caught up with the contemporary world." Just as Wall Street managed to use simple things like home mortgages as raw material for complex and profitable investments, Bridgepoint has pulled off its own bit of alchemy here in Iowa: It has leveraged the purchase of of a failing but accredited campus into a badge of authenticity for its entire sprawling operation -- even as students have fared poorly, dropping out in large numbers and increasingly unable to pay back their federal debts. The cachet of the traditional ground campus in Iowa, with its sports teams and historic buildings, has been a key marketing tool for Ashford, a feature that distinguishes it from other online rivals such as the University of Phoenix or Kaplan University, according to former and current employees. The school's website boasts idyllic autumn scenes and photos of smiling students walking the Iowa campus. Just a few months back, Bridgepoint Education sponsored a major college football contest, the Holiday Bowl. Slick commercials for Ashford University were beamed out to a national television audience. But for the thousands of new recruits who enroll online at Ashford each year, the friendly image of the Iowa campus ends soon after their applications are complete. Behind the university's rapid growth is a pressure-cooker recruiting environment that treats prospective students like figures on a balance sheet, not people seeking opportunity through education, according to more than a half-dozen current and former employees ranging from management to entry-level recruiters interviewed by The Huffington Post in the past month. All cited the central importance of a rigid performance matrix handed down by management -- one that rewards and punishes employees almost entirely on the basis of whether they are able to meet six-month recruitment targets. The goal, employees say, is getting "starts": students who fill out the paperwork for student loans and make it through at least four weeks of their first five-week course. That is the point at which the university is able to keep the student's federal aid money, regardless of whether they continue their studies. After that, according to the Ashford employees, any form of counseling drastically drops off. "There were numerous times when I enrolled students and thought, 'All I've got to do is babysit them for four weeks,'" said a former leader in the admissions department, who spoke on the condition that he not be identified because he is still employed at another for-profit university. "I'd be thinking, 'Come on, this person is clearly not ready to go to school.' But I'd call you, pump you up, keep you confident for four weeks, and once I knew you completed, you were forgotten. It's easy when I'm counting the money." Recruiting and other business practices at Ashford have prompted investigations by the Department of Education and the Iowa Attorney General's Office. Sen. Tom Harkin, D-Iowa, a vocal critic of the for-profit sector, will hold a hearing this week looking at Bridgepoint. "There is a place for online learning, but that has to be coupled with services to students to help them succeed," Harkin said. "Here they're enrolling them, they're getting them through the minimum amount of time and then they're left on their own." According to the Ashford employees, the pressure drives recruiters to enroll students who they know have little chance of success: people who openly say they have no regular access to a computer or the Internet, despite the exclusively online course offerings, and even those who acknowledge they have difficulty reading. Bridgepoint has among the highest withdrawal rates of any publicly traded school in the industry, according to a Senate report last year. Based on a pool of students examined between 2008 and 2009, more than 80 percent of those in an associate's degree program had exited within two years of enrollment, and nearly 65 percent of bachelor's degree students had left the company's schools in the same timeframe. Last year, Bridgepoint posted its best year ever: netting income of more than $127 million, almost triple the year before. The company spends about 37 percent of operating costs related to education; the rest goes to marketing, corporate compensation and overhead. Top executives at Bridgepoint Education declined to comment on the investigations involving recruitment or questions about the accreditation process. Administrators at the ground campus in Iowa answered questions about their practices, but declined to speak about Bridgepoint or the online programs. The Canticle of the Sisters of St. Francis sits on a snow-covered patch of Iowa prairie, just a mile up the road from Ashford University. Adorned with a reflecting pond and a statue of the Virgin Mary, this is the official home of the order of Catholic nuns who had owned and managed the former Mount St. Clare College for nearly 90 years. The forerunner to Ashford University, Mount St. Clare was a modest campus launched by the nuns in 1918 as a women's boarding school. The mission was to train public and parochial teachers in rural stretches of Iowa and Illinois. For years, the Sisters' convent was located right on campus. It remained a women's finishing school until 1967, when the first class of 13 men was admitted. And it wasn't until 1979 that the school introduced its first bachelor's degree programs. But a decade ago, Mount St. Clare began feeling the financial strains from a prolonged period of declining enrollment. The number of students dropped below 400, and there were fewer Franciscan Sisters available to work at the college, which in 2004 was renamed Franciscan University of the Prairies in an attempt to rebrand itself. "It was a tight time for us, in terms of financing and making all the changes we needed to make, so that the university could move forward," said Sister William McCue, who has taught at Ashford and Mount St. Clare for 47 years and is one of two remaining Franciscan Sisters still on faculty. Salaries for the faculty and the nuns running the school had to be cut. The university would have to be sold to stay afloat. At about the same time, a team of investors in San Diego was looking to buy a campus that would allow the launch of a new, for-profit education venture. The team was led by Andrew S. Clark, a veteran executive from the University of Phoenix and the Career Education Corp., another publicly traded company that owns dozens of private colleges. Clark's company, Bridgepoint Education Inc., was then a small enterprise partnering with a state college in Connecticut to offer online bachelor's degrees. To achieve substantial growth, Bridgepoint needed a college of its own. But attaining the key higher education benchmark of regional accreditation -- and the federal student aid dollars that come with it -- is a difficult process for a school starting from scratch. The accrediting organization that oversees Ashford University, the Higher Learning Commission, requires an institution to be in existence for at least two years before being considered for accreditation. A change of ownership, on the other hand, allows a previous accreditation to continue after a review process. So in early 2005, backed by the private equity group Warburg Pincus LLC, Bridgepoint Education bought up Franciscan University of the Prairies from the Sisters of St. Francis for $9 million, renaming it Ashford University. Through a spokesman, Warburg Pincus officials declined to comment. The paperwork required to continue accreditation was modest. One staff member of the Higher Learning Commission -- which had approved Mount St. Clare College since 1950 -- reviewed a brief document. The paperwork assured the commission's board that the new owners had adequate finances to support the ailing college, and the school's mission would not change dramatically. A follow-up visit came six months later, then a comprehensive review in 2006. The latter process involves about seven to 10 administrators and professors, often from other accredited institutions, doing a three-day planned site visit to observe classes and talk with students and faculty. The school also provides accreditors with its curriculum and other information about finances and governance. That was the last extensive examination of Ashford's curriculum and programs, though there have been two shorter site visits focused on particular elements of the curriculum. Since 2006, the school's enrollment has grown more than tenfold. So has its intake of federal student aid dollars. Ashford is not the only university that has grown this way. Other publicly traded corporations, such as Education Management Corp., have bought up small schools with regional accreditation in recent years. And the vast majority of those schools fall under the aegis of the Higher Learning Commission. In other words, Ashford University has the same stamp of approval as Indiana University and the University of Chicago. Lawmakers and federal bureaucrats say these purchases raise questions about the stringency of the college accreditation process, and whether it is suited to be a true gatekeeper of federal dollars. "You've got to have some kind of referee on the field," said Rep. George Miller, D-Calif., the ranking Democrat on the House Education and the Workforce Committee. "For now that's the accreditation agencies, and I think they've got to be strengthened, and I think they have to understand the changes that have taken place. You're getting to the point where this is kind of the equivalent of selling homes with no proof of income, no proof of ability to repay." Historically, regional accreditation has been an alternative to the federal government getting involved in the particulars of what colleges teach to students. It evolved from a centuries-old tradition of peer review in higher education, when from time to time faculty would compare notes on curriculum and teaching methods. But as access to higher education has expanded through federal student loan and grant programs, the system of accreditation has morphed into one of the few outside review mechanisms standing between universities and billions of dollars in federal aid money. The ties between universities and accrediting bodies have traditionally run deep, making both dependent upon increased student enrollments for their sustenance: Regional accreditors derive the vast majority of their operating revenue from fees assessed on the colleges they review. Board members on the accrediting bodies largely come from member colleges. And the Department of Education's quasi-governmental accrediting oversight body comprises many university presidents, including the provost of the University of Phoenix and the board chairman of the Association of Private Sector Colleges and Universities, a chief lobbying group for the for-profit college industry. "If we were to take an ethics class, it suffers almost all of what we would suggest are prima facie conflicts of interest," said Longanecker, the former assistant secretary of education in the Clinton administration who has advised the Obama administration on changes to the accreditation process. Accreditors have been adjusting their rules in recent times. Last summer, the Higher Learning Commission rejected the transfer of accreditation for Dana College, a small struggling school in Nebraska that was about to be purchased by a group of private investors. The commission has adopted new policies that would trigger additional reviews if enrollment growth at a particular college is larger than anticipated. The commission, a regional authority, also passed rules requiring that schools have a "substantial presence" in the midwest. That prompted Bridgepoint executives to announce their intention to seek separate accreditation with a west coast regional accrediting body, given that the number of employees in San Diego vastly outweighs the number in Iowa. In a recent interview, a vice president of the Higher Learning Commission, Karen Solinski, said bluntly, "What happened in 2005 is different than what would happen today," in reference to Ashford. Solinski said the commission now requires much more substantial documentation for ownership changes. But she admitted that it still remains difficult to know exactly what a school's intentions will be once under new management. "It's a little bit like looking into the future," Solinski said. "Most of the time with accreditation we are making our judgments retrospectively, toward the past. Here we're looking, as it were, in a bit of a crystal ball." At the humble, five-building college in Iowa that is, on paper, the center of Ashford University, the atmosphere seems to have changed little. Books in the library still have barcodes that read "Mount St. Clare College." Many of the laboratories and classrooms have not been upgraded in years. Few have even been wired for the Internet. Ashford has a full-time faculty of about 40 people in Iowa, all of whom are listed on the university's website with bios and credentials, as if to convey a classroom setting with real personal interaction. But the overwhelming majority of classes are taught by a vast and fluid number of adjunct online professors spread throughout the country. Information about online professors is not listed on the website, and Bridgepoint officials did not respond to requests seeking a directory of adjunct professors or the number of online professors that exist. To get a sense of the number of classes going on at once, consider the fact that Ashford courses run for five weeks apiece and new terms begin almost every week of the year. In many cases, according to current and former employees, the same Ashford salespeople actively recruiting students are also moonlighting as professors, as long as they have Master's degrees. "It gets around having to pay real professors real salaries," said a current employee who works in San Diego admissions, who declined to be identified because of a company policy that prohibits employees from speaking to the media. "That's not bad, to just log into a classroom, grade some papers and make an extra $30,000 a year." Students at the campus in Clinton seemed mostly oblivious to the fact that they made up only 1 percent of Ashford's student body. Many of them enjoy small classes of less than 20, and more than half of the ground students are on scholarships. "I've never really thought about the online part," said Bailey Oostenryk of nearby Savanna, Ill., who recently transferred to Ashford from a local community college. "It's out of sight, out of mind, for me." Aaron Yerk, a junior from Belvidere, Ill., who came to Ashford on a pole-vaulting scholarship, was similarly astounded to find out that there was an online school roughly 100 times the size of his student body. "Knowing the school size on campus, and knowing how huge it is outside, it's insane," he said. Local leaders in Clinton brim with praise for Ashford and Bridgepoint, an outside corporate entity that has been pouring money into a town that has mostly known decline in recent times. In the past year, Bridgepoint has bought up the local Best Western hotel for expanded dorm space and purchased tennis courts from the local YMCA. The company also bought out the local country club in town for additional expansion, building an artificial turf football stadium emblazoned with the logo of the Ashford Saints. Graduates from the online program stream into town three times a year to walk across the stage during graduation ceremonies, another boost to the local economy. "When I go out and market, to be able to say I have an upper-level university with graduate programs, it plays very well in marketing this community," said Steven Ames, president of the Clinton Regional Development Corporation. "Without them and their presence, it would hinder that ability." Clinton Chamber of Commerce President Julie Allesee, a graduate of Mount St. Clare College, said the investments made by Bridgepoint prevented the shutdown of a community fixture. "We saw this as a way to save the college and keep this type of environment in Clinton," she said. "It's a fairly sizable campus located pretty much in the heart of town. So then the question is, 'What would go in there?'" On the other side of the country, in shiny corporate offices outside San Diego, the football stadium and Iowa graduations amount to something much different for Ashford's sales force: They are key props in the pitch that Ashford is an old-fashioned kind of college. Hundreds of telemarketers crowd into tiny cubicles, incessantly calling "leads" generated from various online surveys and submission forms purchased by the company. One of the key pitches: Ashford is an accredited university with a long history, unlike the other online schools that may be vying to enroll the same potential lead. "They need it to be viable, because that's the whole catch," said a former director involved with Ashford admissions in San Diego for four years, who spoke on the condition that he not be identified because of nondisclosure agreements he signed upon leaving the company. 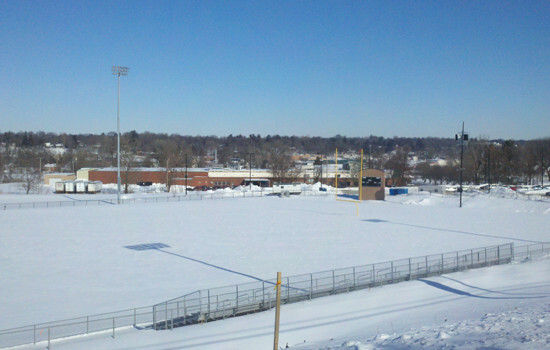 "It was, 'We have a real campus, with dorm rooms, sports facilities, a soccer team.' We'd say, 'Arizona State is accredited, so is Ashford.' Or just pick the most prestigious school you can think of and fill in the blank." Those on the other end of the phone tend to be people who have not even thought of attending college, the employees said. Often, they have simply filled out a survey to apply for jobs or other online promotions. But the suitability of prospective students for enrollment is rarely considered, the employees said. The only driving force, they said, is the motive to enroll as many people as possible. According to Ashford's employee performance "matrix" -- which was obtained by The Huffington Post, and described by more than a half-dozen former and current employees -- annual salaries for recruiters range widely, from $24,000 to $110,000, depending upon performance. The vast majority of points awarded in the matrix depend upon job performance, specifically the number of students successfully enrolled in classes, and other criteria such as the number of weekly calls made by recruiters. Overall, 78 percent of a recruiter's compensation is based on measurements related to numbers of applications and leads, with the rest depending upon subjective assessments such as "judgment" and "communication," according to the matrix. In a report this year, the Department of Education's inspector general found that Ashford's compensation plan violated rules that recruiters not be paid based on how many people they enroll. In a recent call with analysts to discuss its latest earnings report, Bridgepoint executives said the company was transitioning to a new admissions evaluation plan that "does not contain any evaluation criteria based directly or indirectly on the number of students enrolled or the amount of financial aid awarded." The executives said compensation would only be based on cost of living raises, an employee's educational attainment and their tenure with the company. But the employee who currently works in the admissions department said she has not seen any new evaluation criteria yet. She said employees were recently taken aside by managers and told that numbers still matter, even if there is no formal "matrix." "It still exists, just not on paper," she said. "We all were told that no matter what happened with the new matrix, if you're not pulling your share, in terms of the numbers, we'll find a way to get rid of you." Kristy Smith, a former enrollment adviser who says she was fired in 2009 for not meeting quotas, recalled that the pressure to satisfy management led her to entice students whom she knew were ill prepared for online classes. "If you had a swift tongue, then sometimes you could talk somebody into going back to school who hadn't even thought about it before," Smith said. "We would try to conversate with them enough to find out exactly what it is they were missing in their lives, and somehow tie school to that." Smith recalled one case in which she wooed a 22-year-old student from Illinois who she knew had a learning disability. Yet she was encouraged by her manager to keep pushing, so she tried convincing him that the degree would help him fulfill his dream of moving to Chicago. Eventually he enrolled, and she held his hand through the first five-week term. He barely made it through with Cs and Ds, she recalled. After the first term, she stopped checking on him. She says she later found out he had to drop out, leaving only debt to show for the time in school. "They'll hold your hand until they make their money, and after that you're on your own," Smith said. "I feel bad because I gave him hope." Added Smith: "That's the name of the game. It's all sales in the end." Brent Park, another former recruiter, described his own hard sell, in written comments he submitted to the Department of Education in 2009. He recalled how his manager once ordered him to stay after hours because a prospective student was on the phone -- an infirm, elderly woman who needed an hour of coaching just to fill out the online application. She didn't know how to type in a URL address, he said. "How is a person like this going to get a degree online?," Park wrote in an email. "The people Ashford preys on are single parents, poor people, people who don't know any better ... We know most of these people will drop out, but again, we have quotas, and we have no choice." Other former and current enrollment advisers described a pattern in which students receive one-on-one attention through the first term, but are then handed off to a much smaller pool of academic advisers for the remainder of their schooling. During the first set of courses, a student might be one of five being overseen by the enrollment adviser, they said. But after the first class, the students are typically handed off to an academic adviser responsible for nearly 500 other students. A current employee who works in the financial aid office said she often runs across students who have been misinformed by enrollment advisers about the loans they will incur. In many cases, she said, students are surprised and frustrated when she discloses that they will be taking on loans. The employee said the money is instead referred to as "financial aid" or "grants" -- descriptions that are only partially true. "The salesperson says, 'You're qualified.' They make it seem like they have to go through hoops to qualify," she said. "They're sneaky, and they don't want them to know it's a loan." Managers have recently tightened the disclosure practices, the financial aid employee said, requiring recruiters to say earlier in the call that a student is indeed taking out loans. But this requirement has come alongside another directive to speed up the phone calls, she said, "so some students won't catch it."